TEXA is an industry leader in vehicle and ECM diagnostic tools and software with solutions for heavy duty commercial trucks and off-highway equipment. 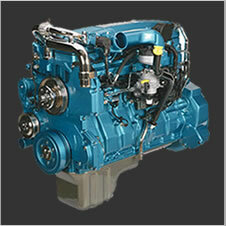 Dealer level diagnostics for virtually every truck make and model around the world. 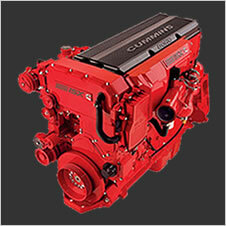 Popular North American truck makes Freightliner, International, Kenworth, Mack, Peterbilt, Volvo and Western Star as well as medium duty trucks by Chevrolet, Dodge, Ford, GMC, Hino, Isuzu, Mitsubishi Fuso, Sprinter and Sterling. 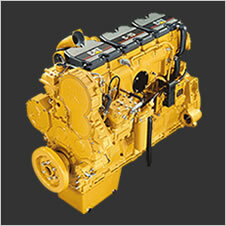 The TEXA Class 8 truck analyzer with engine diagnostic coverage, troubleshooting and wiring diagrams for Cat, Cummins, Detroit Diesel, International MaxxForce, Mercedes Benz, PACCAR and Volvo. 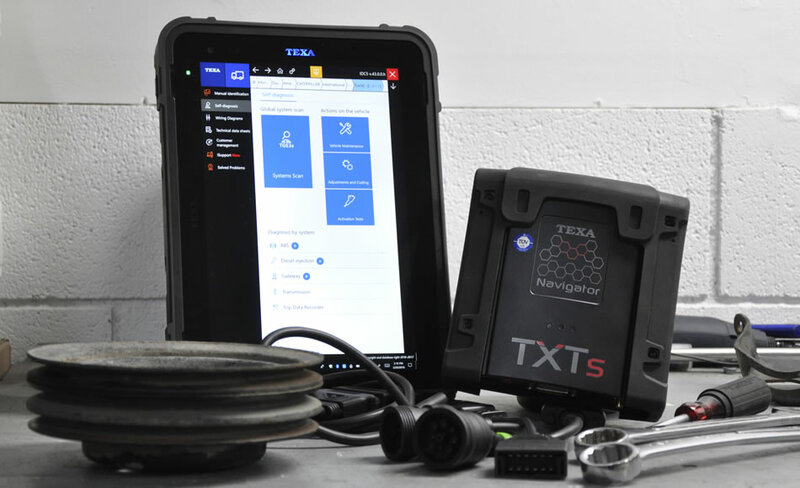 Read and troubleshoot codes, perform forced regeneration,DPF accumulator resets, injector cut-out tests, EGR valve calibrations, configure replacement components and adjust and set parameters through TEXA’s easy to use interface. Off-highway diagnostics for construction and agriculture equipment such as Bobcat, CAT, Case, Fendt, John Deere, Hitachi, New Holland, Komatsu, Kubota, and more. With TEXA you will be able to connect to engines, cab controllers, hydraulic systems, GPS, and run a variety of commands including stationary regens, cylinder cut-out tests, joystick calibrations, injector programming, and thousands of other commands. 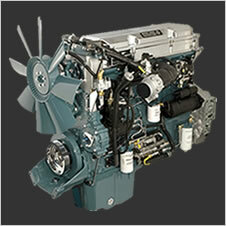 Our TEXA kits can be installed on your computer, with a diesel laptop or with a rugged tablet. Combining the rugged Axone Nemo 12″ tablet with Navigator TXTs and cables for connecting to your truck/equipment, an intuitive and user friendly way to diagnose your vehicles. Our North American Cable Kit includes OBDII, 6 & 9 Pin Deutsch and 12 Pin Terminal cables. Our Off-Highway Kits include 29 cables to cover every possible off-highway and agricultural application and is a 60% cost savings compared to buying the cables separately. It is possible to purchase individual cables instead of the entire bundle, ask us for details. TEXA diagnostic software works with the brands listed below. This isn’t a complete list and is being updated regular to include more makes, models and each new model year when it comes out.